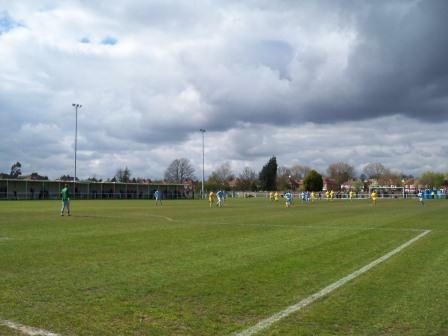 Norton United are my nearest club; within walking distance – so I usually catch a few of their games each season at their Community Drive ground. 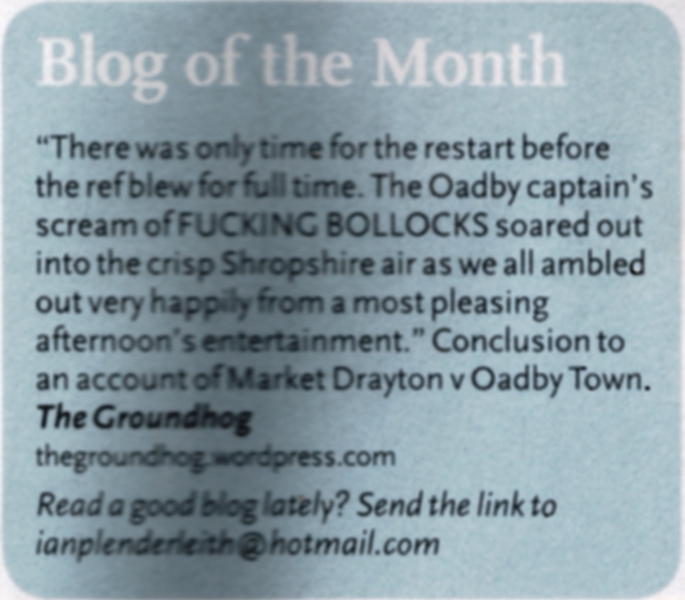 This year they’d had an amazing season, having already won the Vodkat first division cup against Robin Park, and having got to the final of the Staffordshire vase. They only lost their first league game two thirds of the way through the season. They were also very high scoring, with a 7-4 against Leek CSOB the pick of the bunch. This game was the second leg of the Vodkat cup which includes both divisions. 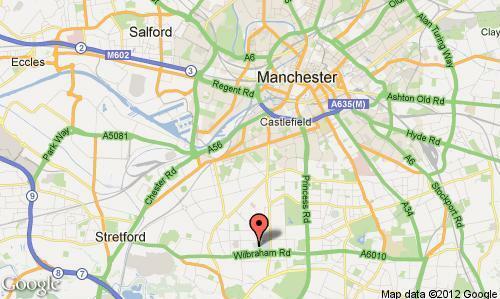 It was the second leg of the semi-final against Maine Road from the division above. They were 2-1 down. Due to Norton’s seemingly unending cup exploits and the seemingly unending rain, their league backlog was so severe that they had six games scheduled in the final week. One of these was the first attempt at this game, which was abandoned due to the first floodlight failure in 25 years at Maine Road. The Vodkat league had to extend the season to accommodate the game. 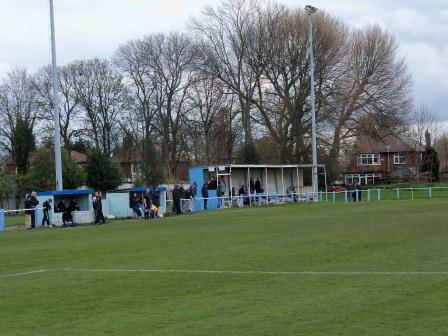 Maine Road FC were founded in 1955 as City Supporters Rusholme. 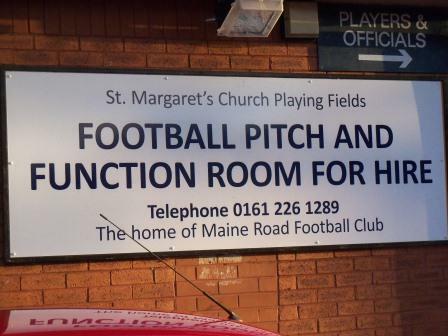 In the sixties they moved their headquarters to the social club at Maine Road (Manchester City’s former ground), and duly changed their name to Maine Road FC. 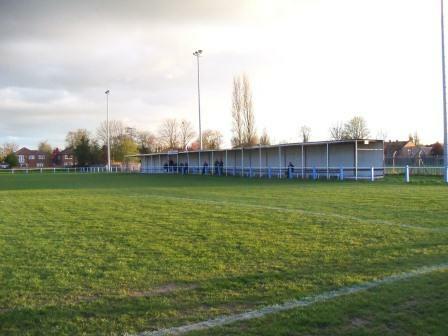 They have been in their present Brantingham Road ground since 1980, with upgrades entitling them to enter the North West Counties league in 1986. Their highest position is fourth in the Vodkat Premier. The ground can be seen clearly from Brantingham Road itself, a small square of grass acting as a training area separates it from the road. There’s a long thin stand down one side, with a couple or sometimes three benches running along. On the other side is a smaller thin stand next to the dugouts. A reasonable terrace of two to three steps welcomes you as you enter the ground with level standing behind the other goal. The game was a disappointment from a Norton perspective. I seriously thought they’d overcome their 2-1 deficit, despite Maine Road being a division above. I’d seen them a few times this season and been very impressed. 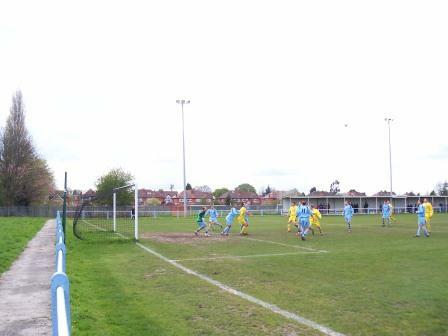 Yet another cup they went far in was the FA Vase – I saw them overcome Holbrook Sports 2-0 in about the fourth round. I’d also recently witnessed an effortless 5-1 against Atherton Collieries. Today though, they looked lacklustre and were missing the mercurial Liam Talbot. 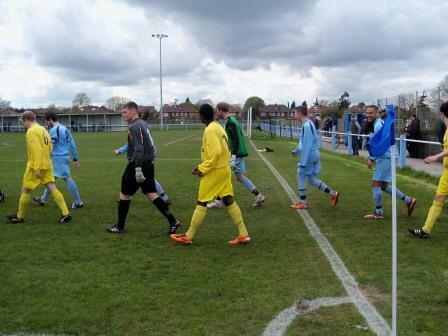 They went down with a wimper 2-0 on the day, 4-1 on aggregate. 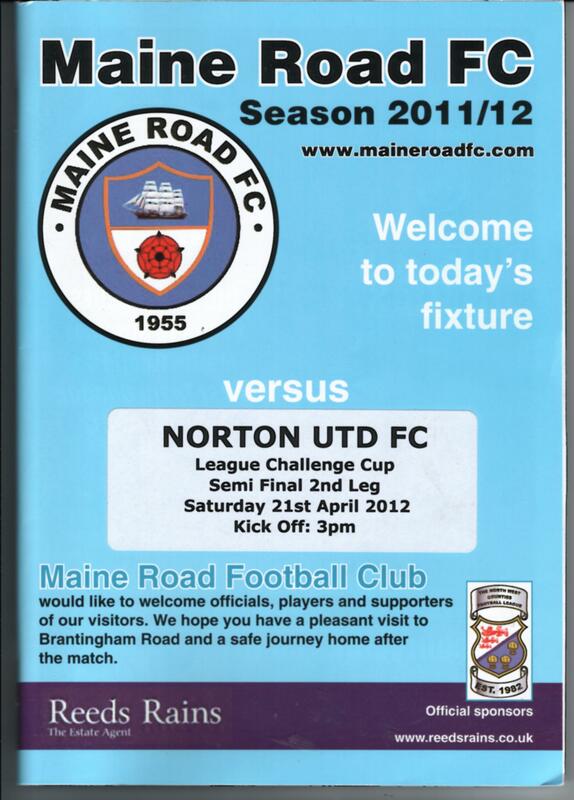 This entry was posted in Groundhopping, Non-League, Travelog and tagged Brantingham Road, Maine Road FC, Non-League, North West Counties League, norton utd, Vodkat League. Bookmark the permalink.